This time-tested poet/activist writes with irony, outrage, ardor, and not a little humor. 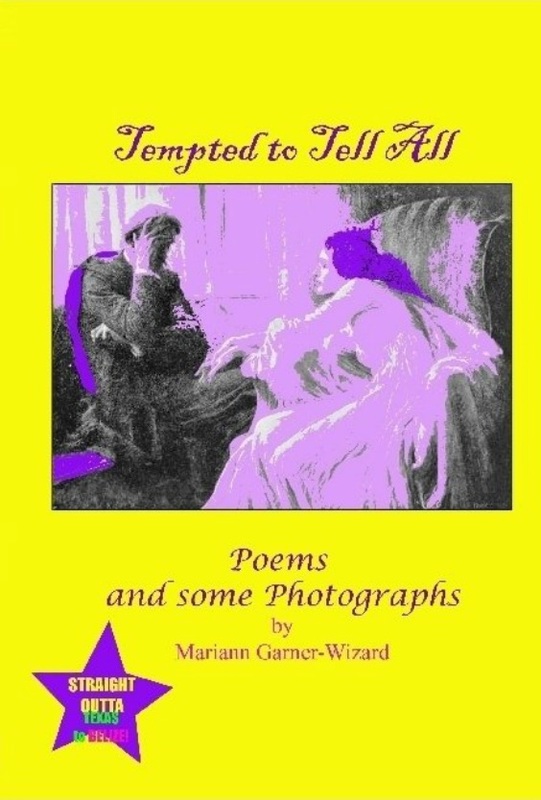 Mariann Garner-Wizard introduces her latest book of poetry, Tempted to Tell All, with a quote from Aravind Adiga’s The White Tiger about the power of poems to “spill out” secrets that can enable the poor to win their “ten-thousand-year brain war” with the rich. This collection, written during the last months of Mariann’s over 50 years in Austin and the three years since she moved away, unapologetically spills out these secrets — and more. Whether “tearing aside the curtain” to champion social justice, commemorating friends and fellow revolutionaries who have passed on, celebrating love and passion, contemplating life’s meaning, or simply reflecting on the importance of living in the moment, this time-tested poet/activist writes with irony, outrage, ardor, and not a little humor. “Witness Protection,” one of the most powerful political poems in this collection, is an insightful, urgent call for action. Written in 2014, the poem is even more relevant in the current dark days of Trump rule. Certainly, with the recent anguish at the border where children have been summarily imprisoned and wrenched from the arms of their asylum-seeking parents, and more recently whole families teargassed, we have, in Mariann’s words, “seen things that would make a rock cry.” Like the author, we all need protection from the terrible consequences of our collective failure to wake up. “Excerpts from Lee Otis Johnson’s Body,” was written at the behest of the late community organizer, Robert E. Lee III. 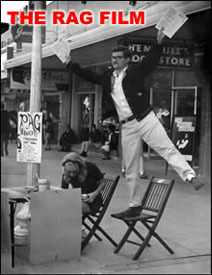 This epic, consisting of three parts of a larger unfinished work, aims at writing the dignity back into the life of Johnson, who as a former leader of the Student Nonviolent Coordinating Committee (SNCC), was sentenced back in the Nineteen Sixties to 30 years in prison for possession of a single marijuana cigarette. Contextualizing Johnson’s struggle in Houston, a city born of Yankee founders determined “to extract every ounce of profit from each enterprise and resource,” the poem mourns “the theft of student aspirations and parents’ dreams” and protests the fact that Johnson ended up vilified and buried in a pauper’s grave. The largest single group of poems making up this book is love poems. These are honest, electric, sometimes ecstatic verses, opening a door into Mariann’s life in the Caribbean with Edwardo Ernesto “Ras Pelaz” Vasquez, whose photograph adorns some of the pages. One picture portrays the author and her new life partner above the caption, “The Sun and the Moon,” with the classic Caribbean ceramics of the two heavenly spheres, a wedding gift, on the wall behind them. Other poems reflect Mariann’s love affair with her new home, its tastes, its sounds, its peculiarities and perils. “Smell the Morning!” is an affectionate, wry early-morning account of being awakened by garbage trucks, while “Gracias a Chac Mool” in Spanish, gives tribute to the Mayan rain god. “Fruits of Belize” takes us on a culinary tour, reveling in the tastes of messy mangos, Belize’s popular snack “choco bananas,” and the exotic sapodilla fruit. About the latter, the author quips, “It’s a good thing no one thinks that Eden was over here,/ or the sapodilla might be blamed, instead of apple’s wormy sphere,/ for Eve’s mistake!” Still, the Mayans used the fruit, “And if it brought some knowledge, their gods did not begrudge it./ The lovely sapodilla: enjoy, but do not judge it.” In “Walking on Caliche,” the poet compares the limestone caliche of her native Texas to the “white marl” of Belize that houses “scrubby, stubborn, sharp-tongued things.” Though warned of the pitfalls of white marl, she reflects that she has been successfully walking on it her entire life. Tempted to Tell All tells us a lot, a lot about righting wrongs, experiencing love and connection, and enjoying the act of living with meaning and purpose. 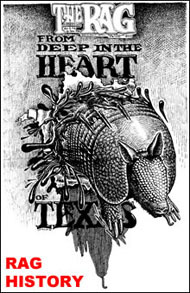 Mariann Wizard is a poet who writes like she speaks — energetically, whimsically, perceptively, and with a lot of Texas sass. If you know Mariann, reading this volume is like sitting down with her over coffee and sharing her latest insights, all the while getting a glimpse of her new life in Belize. And if you haven’t had the privilege of meeting her, let’s just say you’re in for a treat. 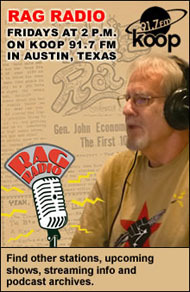 This entry was posted in RagBlog. Bookmark the permalink. Aw, Sharon, thanks for the really nice review! I’m so glad you like the work! I want to say “Thanks!” also right here, and will do so elsewhere as well, to you and everyone who came out for my reading at Resistencia. 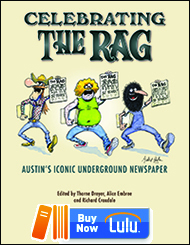 There were about 3 people there, besides maybe my fam from Ft. Worth, who weren’t in some sense part of the Rag community. I love youse guys. And hey, happy readers, any little encouraging remarks you post up on the Lulu book page, as well as here, may encourage others to pony up! Thanks for supporting independent writers and artists! would make an excellent Christmas (or other holiday) gift! Bro, your copy is “in the mail” when your pregnant nephew gets his bathroom remodeled, hopefully in time to stuff your stocking! Love you!